Great! I've been planning to try this too but maybe you can save me the time. It's been too windy here to get a good feel for whether or not covering the lowering opening is an improvement. Would also be interesting to try covering that opening in combination with the OEM touring screen addition. Good idea tapping the lower opening. I’ll tape mine over the next two days and report. My hypothesis was that there was too much of a vacuum behind the windshield causing the turbulence that doesnt seem to bear out. Well, findings after running with no screen were as expected - less turbulence for sure, but the angle of the fascia at freeway speed still pushes the air surprisingly high. 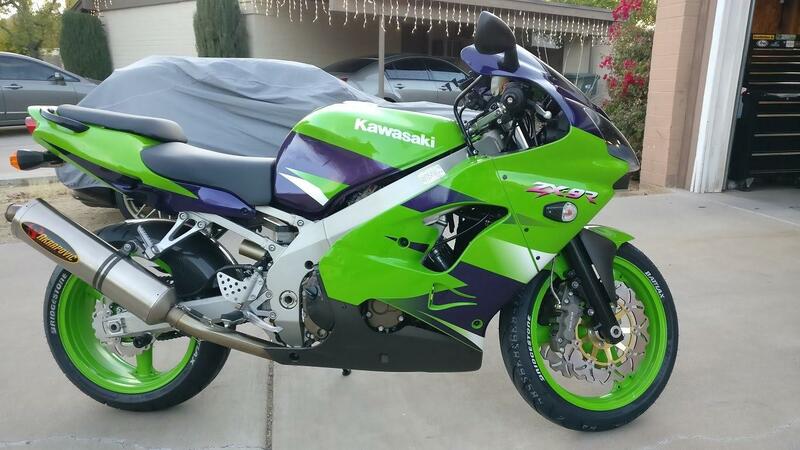 However, this is moot for me since the bike just looks stupid and I'm not into naked bikes. So.... I am trying out both a new Schuberth R2 and C4 in the coming weeks. I'll compare them to the GT-Air against perhaps all 3 screens: modified Zero Gravity, stock and the National Cycle. Lastly, I did order this Gen 4 edging. Man, let's hope I can get this solved or my short time with this bike will have been a massive waste of money. I might be interested in a section of that trim if you have left over and want to recoup some of your costs. What is your bike history? I am surprised the situation is that bad for that you would consider selling it after just getting it. Short version is I started riding again after decades away in 2013. Blackbird from then until about 2017. Pristine ZX-9R replaced it (but I've still not sold the Bird) then was in an accident last June. RC51 from August until this bike about two months ago. Not sure if that's what you were looking for. But more to the point, I have no tolerance for loud wind noise and turbulence. I found out in about 2016 when putting my stock Blackbird screen back on that having the air hit me lower, as low as possible cuts the turbulence even more vs. getting rid of air at the helmet. The Ninja and RC51 also had lower screens and I guess I've just gotten used to a fairly quiet ride. Yes, I wear 32 NRR foam plugs inserted ALL the way in my ear and have tried out over 25 helmets since 2013 in pursuit of near silence. Currently using a Shoei GT-Air, a Schuberth R2 and have a Schuberth C4 on the way. 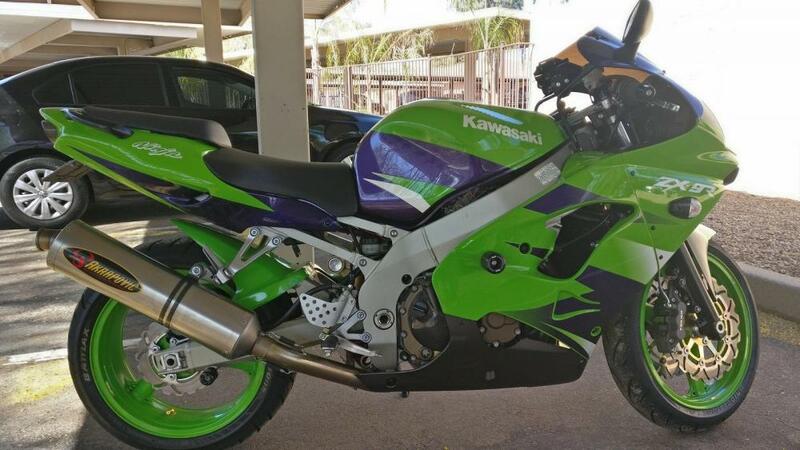 Finally, my Ninja will be repaired eventually and I love it, it's super fast (original owner put about $11,000 into the engine/carbs/exhaust), it's comfy and there's no turbulence at speed. So, if this bike doesn't work out I'm not exactly hurting. 🙂 Plus, I may just end up keeping my Blackbird - it's got just 15,000 miles, looks new and even has electronic cruise. You probably don't want to enter the world of upright bikes like the Versys, Tiger, S10, etc.... Those bikes are often very hard to get a good solution for wind management. On those types of bikes the solution is usually to get the air up higher rather than getting it lower. Curious. I ran my 1200 yesterday on my commute to get her out of the garage and the wind noise was far worse then my Crossrunner with the screen adjuster set to fully tall. 1. I shoved a shop towel into the hole in the windscreen (so that I could remove it and replace it easily while out riding), while running my shortened ZG screen. I can't be sure but it seems better, if only a little. Will test more. 2. Like others, when I cross my left arm over my chest to my right shoulder, it gets a whole lot quieter. And I don't remember trying this before: if I sit all the way back and straight up (hands off grips for a second) it's super quiet. Not sure how this info can help me/us. With number two that suggests to me I just need to keep trying to get lower but clean(er) airflow. Thanks for all the ongoing efforts guys! Btw, @swimmer is there another thread you can point me to where you're in there telling how you get such insane mileage? I thought my bike was in great shape but I'm getting about 36 mpg, with about an equal mix of highway and surface streets. The Crosstourer is also supposed to have good wind management. I was intending my statement to apply to all upright bikes, just that often those bikes can be problematic. I think Honda does a better job than most. My 250L Rally is also not bad with regards to wind noise. My experience is the same re:no hands or trying to sit very upright. You might try sitting on a sheepskin pad, air hawk, or similar to see what raising your body does for you. 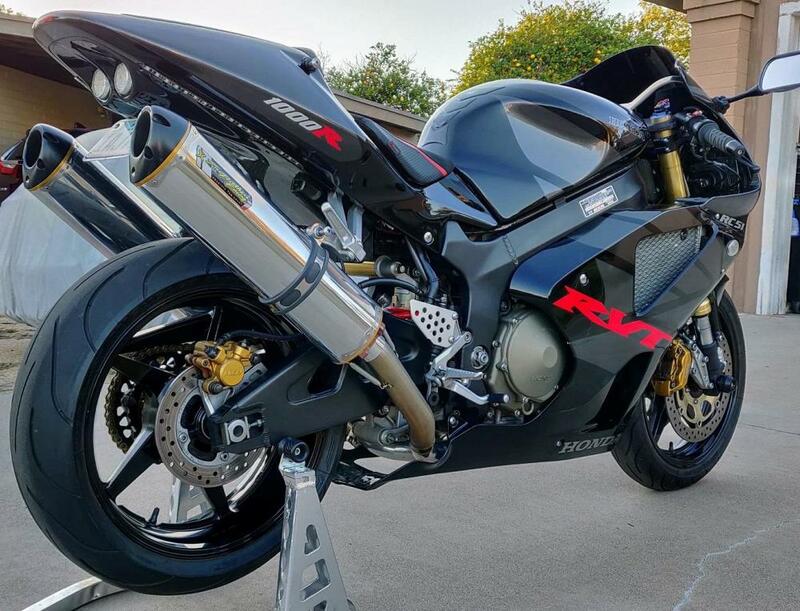 I recall reading a thread somewhere, possibly on here but not sure, where the author reckoned much of the wind came up from below the front fairing and over the fork tops then up into the riders face/body. He was working on a system to block that air to make riding quieter/less turbulent. OMG. There it is. That might explain why unlike the other bikes I've owned I just can't get anywhere with windscreen changes. Yes! I have some ideas already, and maybe just in time for our 3 day ride called Devil's Run. Oh yes. I just got that Gen 4 edging and I'm thinking I can put in on the underside of the headlight and possibly also on top of the windscreen. This edging is pretty big and may make a difference under the light. This may be a breakthrough for anyone struggling with turbulence. I'd love to get back to loving this bike again. https://saeng.com/product/gen-4-edging/ For what it's worth, Honda seems to have already put a little aero lip on the underside of the light assembly. I've ridden that road several times. While it has a ton of curves and good scenery and for the most part is deserted (you may not see another vehicle for over an hour), the lack of traffic means the road is usually in semi-poor condition with loose rocks often in the turns. For motorcycling purposes, there are more enjoyable roads in the area. Buddy, it must have been way too long ago. This will be my 9th time in 6 years. The roads are outstanding. AZRide hosts it in late May or early June every year. There's a small group of about 6 to 10 each year - we ride our own pace and it's an epic weekend. Friday and Saturday nights in Springerville we go to a great BBQ place and Saturday morning there's an awesome place for breakfast in Alpine. Hells yeah man! Their business is to rent bikes. Fly on out here! GREAT news. I installed the edging on the underside of the light and it made a noticeable difference to the turbulence at freeway speeds. One of the ways that I continue to compare is wind noise and turbulence in the sitting position vs standing all the way up in clean air. This was definitely less of a difference. I'll say this, today's ride to work was the first time in a while I got to spend time just enjoying this great bike. Ugh. Sadly, it seems the new C4 helmet isn't as quiet as the C3 Pro was and maybe not as quiet as their new R2 helmet. For sure, I will continue to try to block more air from coming up the fork area. The trick is how in the hell can I block more air with the movement that the forks necessitate. For sure, if I had a 3D printer I think I could make something. My thoughts are a black plastic panel with elongated, curved holes for the forks to move through. I can picture plastic broom bristles in the holes for the forks to block as much of that air as possible. Yes, I'm a MacGyver kind of guy, LOL. Not that it matters but I'm working hard to get all this stuff nailed down before the 800 or so mile weekend coming up in about 30 days. Oh man. It's insane how much this had all been dragging on me. I'm surprised to see how much of a better mood I am today after riding in this morning and having mostly solved this issue. Two months ago I sold my RC51 for a Honda I've always wanted to own (this VFR). I loved it at first but then wait, what's this wind roar!? This isn't going to work! It was getting to me and I'm glad I might not need to sell this bike anytime soon. I'd say the turbulence has been fixed enough to what I'd call good - that is, beyond just acceptable. Not great yet. FWIW, I'm sure that 95% of moto riders would say it's amazingly quiet but it's impossible to know what each person's tolerance is. So, last night I installed the stock shield to see how it works in conjunction with this Gen 4 edging. I also decided to build a spoiler to go under the headlight. Unlike the shortened ZG screen the air is now going over and around my helmet (well, at least the bottom). Point is, it's a huge improvement and is good enough for me to take on this 3 day trip in exactly 30 days. I don't know how much of the change can be attributed to this edging or the spoiler I made yet. good for you for attacking this issue. So is your stock screen that you attached trim to the full, normal screen or has it been trimmed? Also, the fork tunnel covers is something many Africa Twin owners have done to calm the turbulence. Can the screen trim be removed/replaced or is it a one time fitment and it gets messed up removing it? I’m trying your “ghetto” solution for a test tomorrow. Yours is fabricated with cardboard and duck tape? I’m so impressed that you’ve stuck with it, especially after I became resigned to the buffeting. Well, interested in what you were going to say. Thanks. The only other choice was to sell the bike. For me riding with noise like is like I imagine riding without a helmet or earplugs at freeway speeds. Just not even close to acceptable. It's an unmodified stock screen. Fork tunnels you say? You mean someone is already making these and I can buy them?!?! Do you have any links? The maker of the edging claims removing it greatly reduced its hold but I think it's more of a CYA. There are U-shaped metal clips inside the rubber about 2mm wide and spaced apart about that much. You can just pinch them closed. If needed, one could use a very weak glue to increase the hold, maybe even hairspray? Of course I'd make sure it wouldn't damage the plastic if I could.